AirAsia BIG Points can be your golden ticket to even affordable flights, because they’re as good as cash! And if you get really creative, there are a host of ways to increase your points balance so you can take off to that dream destination in no time. Everybody knows you can earn AirAsia BIG Points on flights and staying at partner hotels, but did you know that you can earn points by shopping online, getting insured, seeing a doctor and even when you buy a car?! Then there’s also points conversion from banks, a petrol loyalty program and online trading platforms. Here, we’ve pulled together our top tips to earning AirAsia BIG Points in your daily life. Tip #1 – Collect BIG Points on your DAILY spend. Urban folks easily spend an upwards of hundreds on groceries, food and household items. Wouldn’t it be great if you could earn the same amount in points when you spend on your necessities? 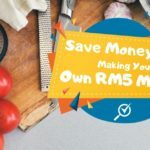 Example: If you spend RM400 a month on groceries, food and household items, you could earn 4,800 BIG Points in a year. That’s the equivalent of a one-way flight ticket from Kuala Lumpur to Penang. Tip #2 – Collect BIG Points on your MONTHLY spend. Staying up-to-date with fashion and beauty trends can be considered a must for some. Same goes with entertainment and other lifestyle choices. It would only make sense that since one is already going to spend a certain amount on a monthly basis for these items, earning BIG Points to lessen your travelling budget is simply a savvy move. Example: If you spend RM600 on your monthly lifestyle activities, you could earn 7,200 BIG Points in a year. 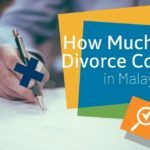 That will get you a one-way ticket from Kuala Lumpur to Phuket. Tip #3 – Collect BIG Points on your ANNUAL spend. These little things in life often end up as fairly large expenditures. Good budgeting allows us to spend on these lifestyle items once in a while and the bonus we get at work, almost always goes to a little pampering of yourself. In 1 year, how much do you spend on these items? And have you had to sacrifice travelling because of these hefty expenses? With BIG Points, you won’t have to anymore. Example: If you spend an accumulative RM6500 in one year, that’s another 6,500 BIG Points that could fly you to Ho Chi Minh! 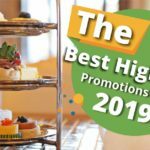 There are many other ways to earn more BIG Points from your lifestyle, including spends on Pizza Hut, event tickets from Red Tix and even when you buy a BMW. Check out the full list of merchants here. Tip #4 – Convert your loyalty reward points to BIG Points. From credit cards to petrol loyalty cards and even online trading platforms, you can actually accumulate the rewards points from your daily expenses and convert them into AirAsia BIG Points. There’s a total of 15 banks and partners you can choose from, and you can see more details in an article we’ve previously written here. Example: If you convert 6,000 Timeless Bonus Points from your Alliance Bank credit card, you’ll get 2,000 BIG Points. You can even add on conversions from 2,000 Petron Miles Points and 1,000 Rakuten Trade Points to top up your BIG account by another 2,000 BIG Points. 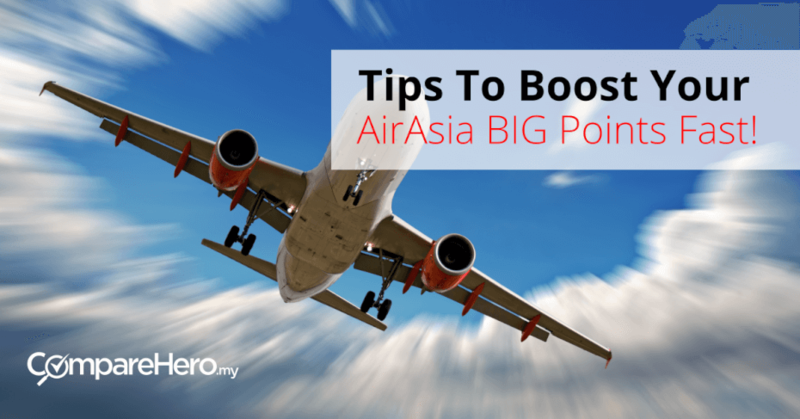 Tip #5 – Follow AirAsia BIG instructions to earn these points fast. Always go to www.airasiabig.com to shop for all the items you want to earn BIG points for. You must go through AirAsia BIG Loyalty’s website, get redirected to the store you want and make a purchase then. Staying within the redirected store website until you complete your purchase is the only way you’ll be successful in earning your BIG Points. For points conversion, there are easy to follow instructions on AirAsia BIG Loyalty’s website as well. Just remember, the best things in life can be free! By our rough calculations, if you go about your spending using these tips, plus the additional flight and hotel spend you may already have with AirAsia, it could earn you a free return ticket to Hong Kong! And if you’re smart, look out for the AirAsia BIG Loyalty exclusive promotions on the AirAsia BIG Loyalty app such as Final Call Sale, Final Call Sale X and Fixed Points so you can fly further with up to 90% savings!